If It's Too Loud...: Mr. Lif featuring Del The Funky Homosapien - "World Renown"
Mr. Lif featuring Del The Funky Homosapien - "World Renown"
Considering 90% of what I listened to in high school was hip hop, I'm always a little disappointed by how little I listen to now. Del the Funky Homosapien was huge for me back then (I still want to refer to him as "tha Funkee,") so I'm thrilled that he's still making quality music, which is more than I can say for most old school rappers. Also, I know I'm old because I also consider this a collaboration with one of my favorite "new" rappers, who I've been listening to for at least 14 years now. 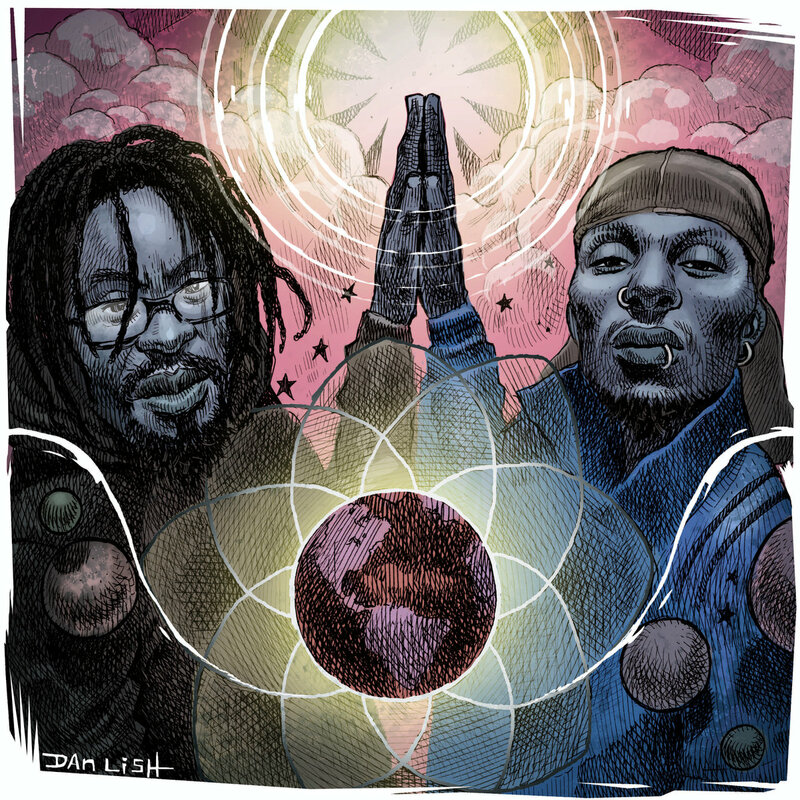 "World Renown" is taken from Boston based Mr. Lif's upcoming LP, Don't Look Down. Both MCs' styles mesh perfectly well. I never noticed how similar their flows are, with that laid back but intense delivery. Plus, musically the track has that slightly futuristic sound that both Lif and Del have made careers on. This is a true duet, not just a quickie guest appearance. This song will have you dreaming of an entire collaborative album and tour. You can listen to "World Renown" below. You can download it for free on Mr. Lif's Bandcamp, where you can also preorder Don't Look Down, which is due on April 15.